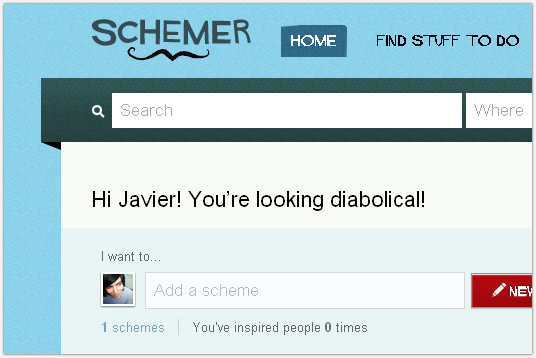 Javier Ocampo: Schemer - What is Schemer? The site lets you list all the things you want to do in life, kinda like a bucket list. It also lets you discover new things to do. It's encouraged that you list things going on around you so that others will find them. So if you ever find yourself out of things to do, you can check up schemer and come up with something going on near you in no time.